Severe dehydration is a life-threatening medical condition caused by excessive fluid loss from the body. You can develop dehydration due to illness, prolonged exposure to heat or by simply not drinking enough fluids. Contact your doctor immediately if you develop any of the symptoms of severe dehydration. The most common symptom associated with severe dehydration is extreme thirst. When you body does not have an adequate supply of fluid to provide to your organs and tissues, it signals your brain to induce sensations of thirst. Increased thirst can also be accompanied by feelings of dryness or stickiness within your mouth. People suffering from severe dehydration can begin to act abnormally as a symptom of this condition. If your body does not have enough fluid, you can begin to feel irritable or confused, explain health professionals at The Mayo Clinic. Children with this condition can appear unusually fussy or restless and may become severely fatigued or lethargic. If your body is not adequately hydrated, it will conserve the fluid within your body by limiting urination. During episodes of severe dehydration, urine appears dark yellow or amber in color. Your body needs fluid to keep your skin hydrated. 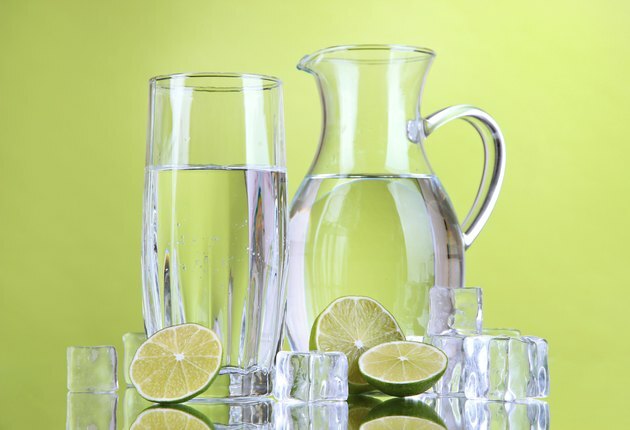 Severe dehydration can cause your skin to appear dry, shriveled or flaky. You may also notice that your skin lacks its normal elasticity and does not rebound as usual when pinched. Poor levels of fluid within the body can cause your blood pressure to decrease, explains the Merck Manual: Home Edition, a medical encyclopedia for patients and caregivers. Low blood pressure due to severe dehydration can cause symptoms that include headache, dizziness, increased heart rate or difficulty breathing. Such symptoms can worsen upon standing up or sitting up quickly and may cause you to feel unstable when you walk. If you experience severe dehydration, you can develop a fever as a symptom of this condition. Fever symptoms are typically mild and can contribute to headache or dizziness in some patients. You may also notice that you do not produce any sweat, even when your body temperature is elevated due to fever. Severe dehydration can cause some patients to faint or lose consciousness due to inadequate levels of body fluids. Loss of consciousness can be preceded by episodes of delirium or severe confusion. If these symptoms develop, seek immediate emergency medical care.